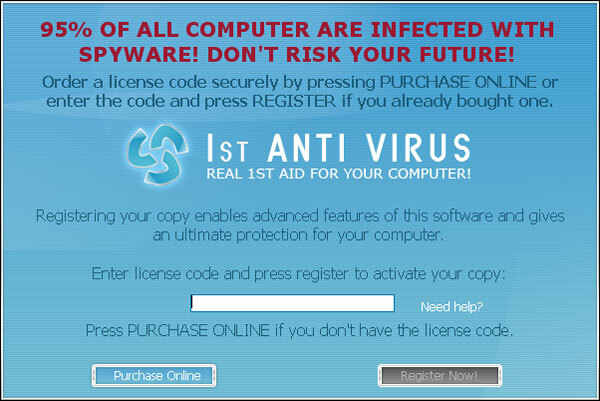 1st Anti Virus produces false positives. We have tested the program on absolutely clean computer that was never infected with spyware, viruses or any other malicious parasites. However, 1st Anti Virus managed to detect 3 threats including the SaveNow adware, the Transponder data miner and the AntiLamer trojan. The application did not provide the exact location of detected parasites. Full system scan was also performed. Surprisingly, only one threat (the AntiLamer trojan) was found. See screenshots provided below. 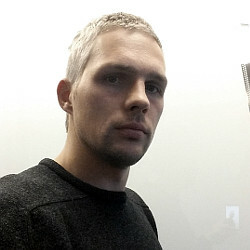 The program uses ineffective malware detection engine. Both quick and full system scans did not take more than 30 seconds. As you know, currently, there are no such spyware remover that could scan the system so quickly. The application implements a real-time protection, which unfortunately cannot be enabled in a free version. The integrated Tracks Erases tool also refuses to work. The program does not remove any parasites it finds and asks to register and purchase the full product. See another screenshot. 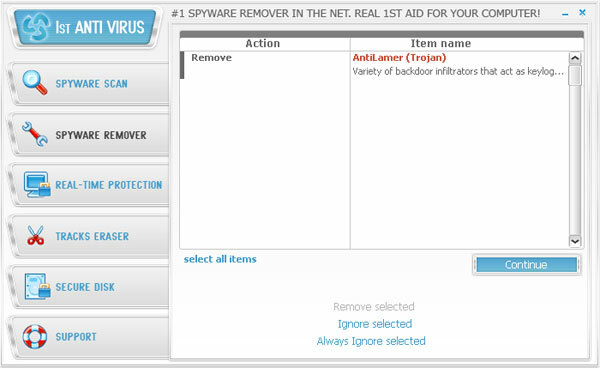 1st Anti Virus is a clone of KillSpy.net, XSRemover.com, SpyDeface and SpyContra. All these programs have a very similar interface, produce identical scan results and consist of terribly similar components. 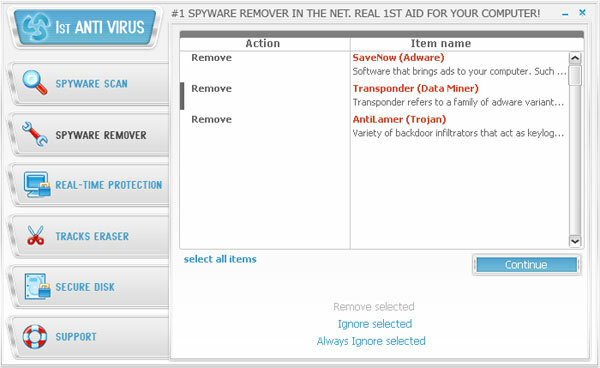 1st Anti Virus is made by the same company as the infamous WinHound Spyware Remover. Domains associated with 1st Anti Virus are 1stantivirus.com and innovagest2000.com. We DO NOT recommend purchasing and using this product. This entry was posted on 2014-05-12 at 09:43 and is filed under Corrupt Anti-Spyware, Software.